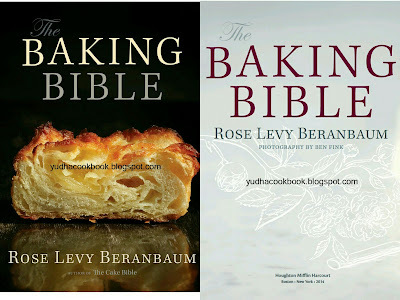 Legendary baker Rose Levy Beranbaum is back with her most extensive “bible” yet. With all-new recipes for the best cakes, pies, tarts, cookies, candies, pastries, breads, and more, this magnum opus draws from Rose’s passion and expertise in every category of baking. As is to be expected from the woman who’s been called “the most meticulous cook who ever lived,” each sumptuous recipe is truly foolproof—with detail-oriented instructions that eliminate guesswork, “plan-aheads,” ingenious tips, and highlights for success. From simple everyday crowd-pleasers (Coffee Crumb Cake Muffins, Gingersnaps, Gooseberry Crisp) to show-stopping stunners (Chocolate Hazelnut Mousse Tart, Mango Bango Cheesecake, White Christmas Peppermint Cake) to bakery-style pastries developed for the home kitchen (the famous French Kouign Amann), every recipe proves that delicious perfection is within reach for any baker.